Joshua Groenewold celebrates as he crosses the finish line in the 4×100-meter relay race. Summer Games was a life-changing event for nearly 4,000 athletes and the families, coaches and volunteers who cheered them on. Around every corner there were stories of how Special Olympics has transformed lives – from Reem Abdelmeguid who autographed T-shirts with her winning 45th anniversary design to Breanna Bogucki who sang her new single in front of thousands at the Victory Dance; from retired Quincy University coach Jack Mackenzie who now coaches a Special Olympics soccer team to “Rocket Man” Jordan VanKooten who visualizes rockets on his shoes that power his walk race and Rachel McGrew who went the distance on the track in memory of her father. 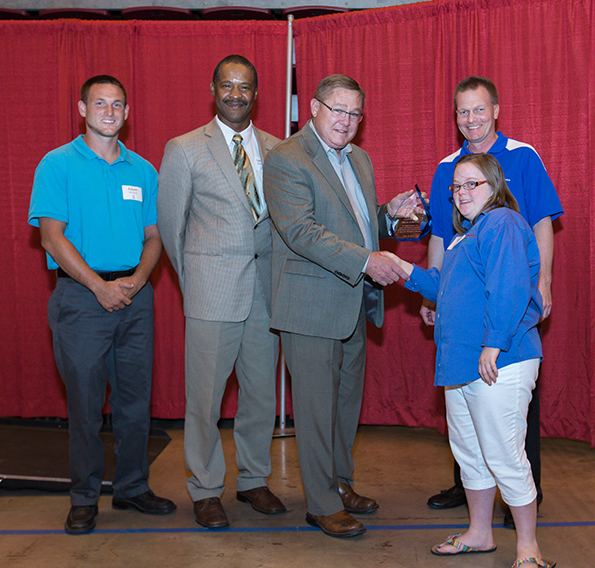 Also at Summer Games, we honored our Outstanding Award winners at the Summer Games Reception. View photos and video from Summer Games and check results. Now that the Summer Games are over, our athletes are “training” for the 8th Annual Windy City Rubber Ducky Derby on Aug. 8 in downtown Chicago. 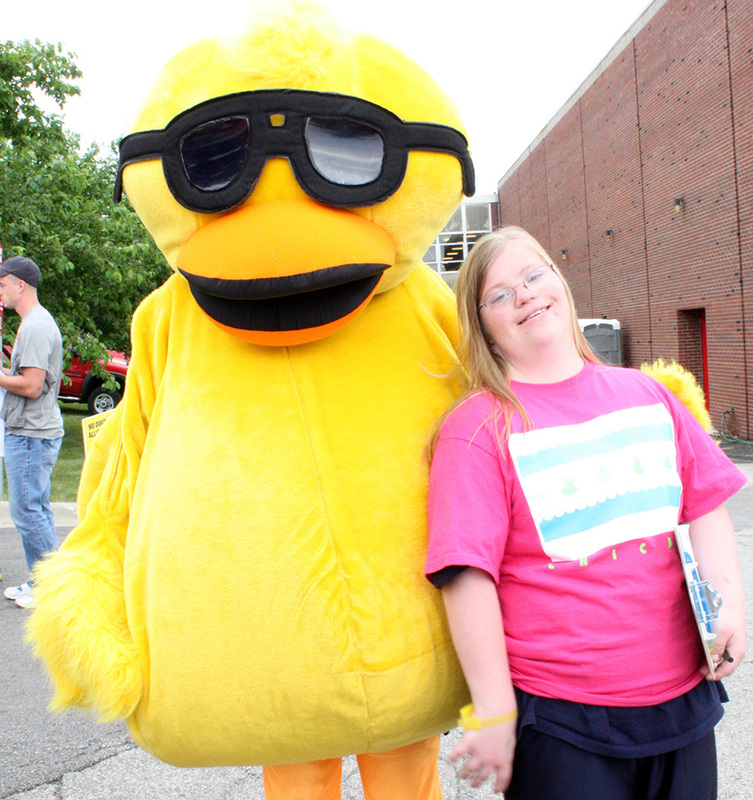 The Darling Ducklings, a group of Global Messengers, have been busy selling “adoptions” to raise money for a cause near and dear to their hearts – Special Olympics Illinois. And athlete Ela Stoklosa sweetens the deal by delivering duck-shaped cookies to those who donate to her duck sales effort. There are over 100 duck sales teams this year – both corporate and independent teams. The Windy City Rubber Ducky Derby kicks off at 10 a.m. Aug. 8 at 400 N. Michigan Ave. (The Wrigley Building) with the Family Festival. Splashdown for the Duck Derby is at 1 p.m. off the Columbus Street Bridge. To adopt a duck, visit http://www.duckrace.com/chicago. 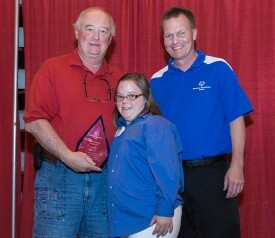 We know Special Olympics has transformed your life or the lives of your loved ones. Now we want to hear the story of that transformation directly from those involved. Truly, no one can capture the excitement and joy of your tales quite like you! 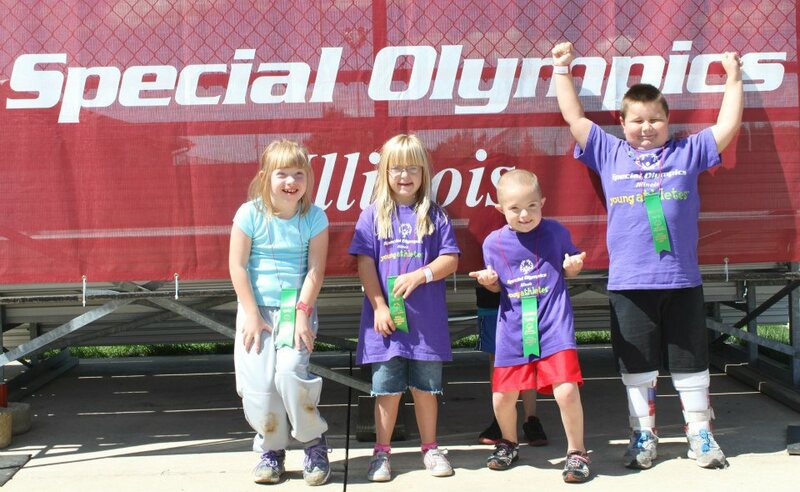 Special Olympics Illinois is holding a story-sharing contest through Aug. 30, with winners to be determined by a small committee who know and love Special Olympics as much as you do. 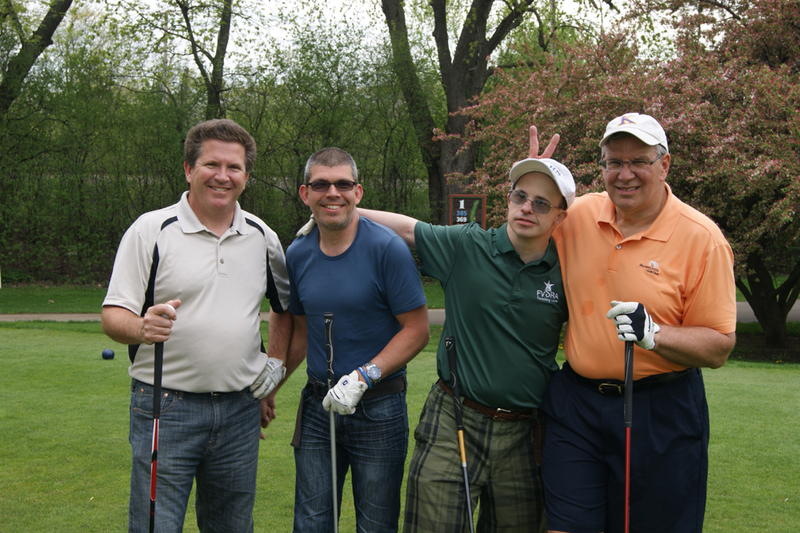 If your story is chosen, you could receive a number of exciting prizes and be featured in multiple Special Olympics Illinois promotional pieces throughout 2014. 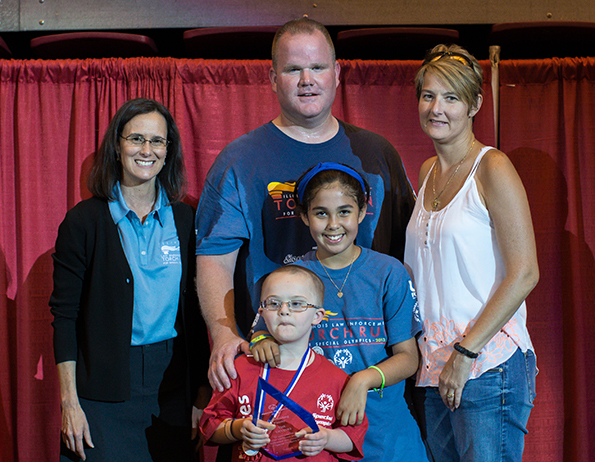 Your involvement in Special Olympics has inspired us; now it is your chance to connect with and inspire thousands more across the state. Click here to learn more about the contest and to submit your story today. This is open to athletes, coaches, volunteers, family, friends and fans. The date of the Outdoor Sports Festival in Decatur has been changed to Sept. 14-15. Dates published in the 2013 Facts & Forms/Policies & Procedures late last year were incorrect. 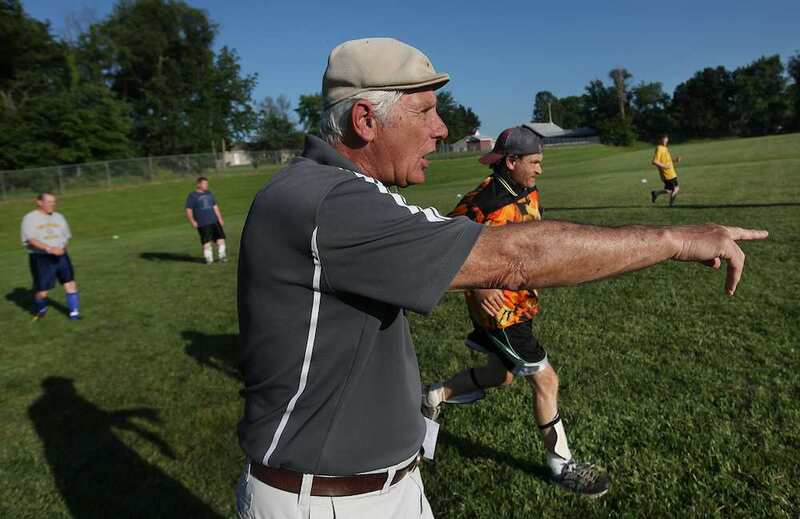 The Outdoor Sports Festival includes competition in softball, golf and Unified golf. “At that start of this school year I was given a wonderful opportunity to become a member on the Youth Activation Committee for Project Unify Illinois. Before this year, I had never volunteered for the Special Olympics nor had I heard of Project UNIFY. I had only helped some of the athletes at my school with their studies, so this was a completely new experience for me. I remember my first day at the YAC boot camp. It was freezing cold, and we were going to be outside volunteering for the Unified Soccer Tournament. I wasn’t sure what to expect at first. However, I had a great time. It was awesome to see the athletes and Partners working together. Throughout the year, I’ve learned more than I possibly could have ever imagined. To start I learned what it means to be part of a team. 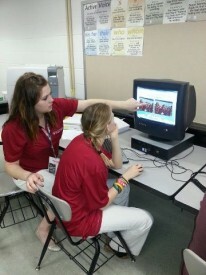 I was a peer partner to Bailey Keiser, and while we weren’t on a Unified sports team together, she and I were a team. We bounced ideas off of each other and we worked together. Not only did I realize what true teamwork and cooperation was, I learned that the old adage ‘you can do anything you set your mind to’ is true. I want to help people. I always have and always will want to. Special Olympics Project UNIFY is an education-based project that uses the sports and education programs of Special Olympics to activate young people to promote school communities where all young people are agents of change – fostering respect, dignity and advocacy for people with intellectual disabilities. Special Olympics believes that through sports young people can make a difference in friendships, schools and communities. Project UNIFY is youth driven, with a Youth Activation Committee (YAC) made up of young people representing middle schools, high schools and colleges nationwide. Members of the committee work together over the course of the year to develop strategies promoting school communities where all young people are agents of change. During their time on the committee, YAC members provide leadership to Special Olympics and Project UNIFY by participating in Special Olympics events, providing advice and counsel on strategies to reach other youths, engaging in and promoting Special Olympics activities in their home environments, communicating and networking via Web connectivity with other youth, and reviewing Project UNIFY materials for innovation and viability. 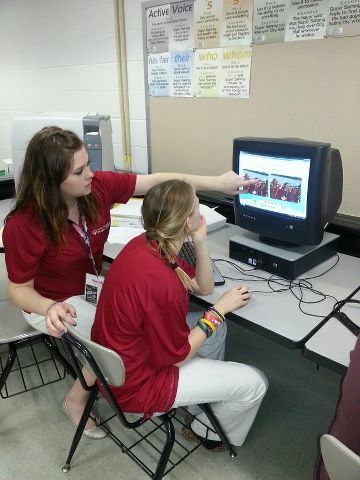 Are you interested in your school becoming a Project UNIFY School? 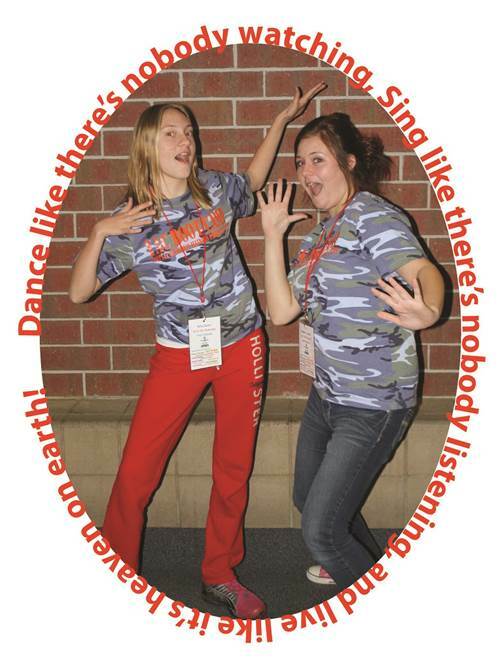 Do you have a student that you feel would be perfect for the Youth Activation Committee? Please contact Jennifer Marcello at 630-200-7693 with any questions related to Project UNIFY. 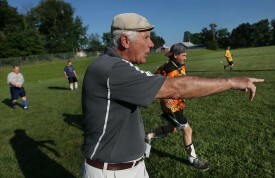 Coach Jack Mackenzie gives instructions during practice in Quincy. There are Young Athletes who are turning 8 years old statewide this year and will be looking to continue their Special Olympics careers in traditional programs. Our Young Athletes staff (Jen Marcello, Manager of the Young Athletes Program; Jacquelin Kogut, Northern Coordinator; and Bailey Brenner, Central/Southern Coordinator) needs your help as a coach to ensure these athletes are staying in Special Olympics as long as they want. Young Athletes staff is working with individual families to assist them with placing their Young Athlete in a traditional program. For those who are unfamiliar with the Young Athletes Program, it is an innovative sports play program designed for 2- to 7-year-olds, with and without intellectual disabilities, to learn the fundamental sports skills prior to participation in Special Olympics at age 8. 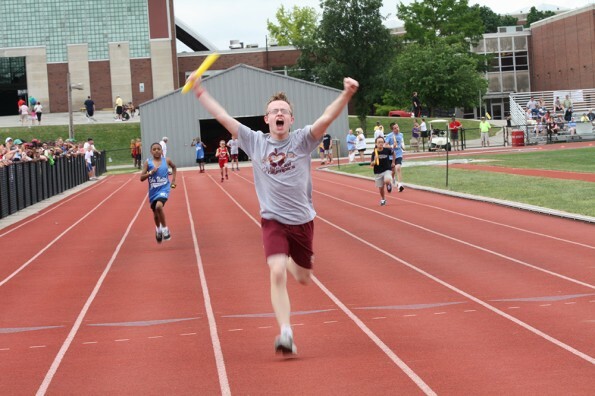 The transition from Young Athletes to the traditional Special Olympics program is vital to the success of the organization, as both athletes and volunteers are needed. It is important that those athletes who began training as Young Athletes continue to increase their confidence, physical abilities and learn valuable life lessons from competing as an individual or as part of a team in a traditional program setting. With the transition beginning at the age of 6 for these Young Athletes, they will need a program to train with. Young Athletes staff is working with each family to find out what they are interested in, where they are located and how best we can serve them, but the Young Athletes staff will need help from you. Young Athletes staff may call upon you to help locate the best program for each Young Athlete in your area. The objective is to have an agency ready for each willing Young Athlete to smoothly transition into once they turn 8. The Young Athletes staff looks forward to working with you so we can successfully transition these athletes into Special Olympics and continue the growth and development of this amazing organization. 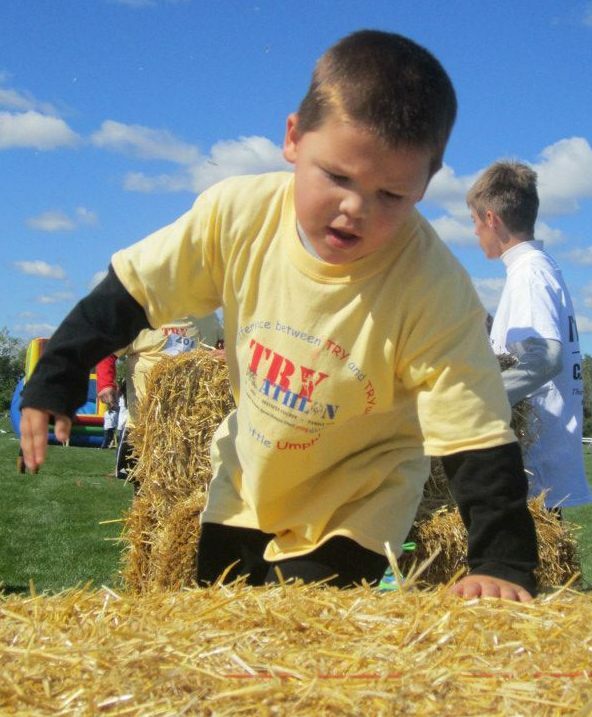 Mark your calendars for 10 a.m. Sunday, Sept. 29, for the 3rd Annual Young Athletes TRYathlon. This event offers a fun and engaging way to help support our 12,000 Young Athletes ages 2-7 in the state of Illinois. Similar to the athletes we support, this event requires high energy, bravery and is a lot of fun! This exciting event will take place at DuPage County Forest Preserve-Danada (3S580 Naperville Rd., Wheaton, IL 60189) and will consist of a 1-mile run, 3.5-mile bike ride and an obstacle course containing 12 stations including tunnels, inflatable slides and hurdles. Participants can register as an individual or as a family. The registration fee is $35 for an individual and $100 for a family of four. Register online now. 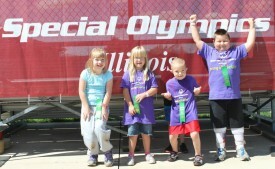 Summer Games has come to a close which means the Special Olympics Illinois Outdoor Sports Festival is up next! For the fourth year in a row, Young Athletes aged 6 and 7 will be invited to participate and showcase their talent in Decatur! For the first time, Young Athletes will have the opportunity to participate in Golf Individual Skills in addition to Softball Individual Skills (base running, throwing, fielding and hitting). Last year, more than 600 Special Olympics Illinois traditional athletes took to the softball fields and golf course arena in Decatur. If you are interested in having your Young Athlete attend, please complete a registration form and return it to the Special Olympics office before Tuesday, Aug. 13. 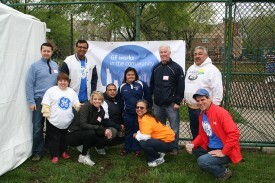 Special Olympics Illinois Chicago/Area 3 welcomed more than 3,300 athletes to the 45th Annual Spring Games. Opening Ceremonies were held at historic Soldier Field on May 7 and guests heard dignitaries from the Chicago Park District, Chicago Public School, Special Children’s Charities and Special Olympics Illinois cheer athletes from almost every Chicago neighborhood. Competitions included wheelchair races, assisted races, softball and tennis ball throw, shot put, running long jump and standing long jump. Athletes competed from May 8-10 at Eckersall Stadium. Support was shared from many to fund the Area 3 Spring Games and included Mattel, BlueCross Blue Shield Association, GE, Goldman Sachs, the Knights of Columbus and the Law Enforcement Torch Run. 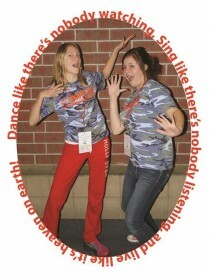 And of course, hundreds of volunteers shared their time and talents to make the week a success for everyone. In celebration of its 50th anniversary, Gale Street Inn hosted a fundraiser and shared proceeds with Chicago/Area 3. Located at 4914 N. Milwaukee in the Jefferson Park neighborhood of Chicago, Gale Street Inn has been serving customers for 50 years. As a way to thank customers and the community for 50 years of business, owner George Karzas has partnered with 12 local non-profits. Each month of 2013, Gale Street Inn is hosting charity events. 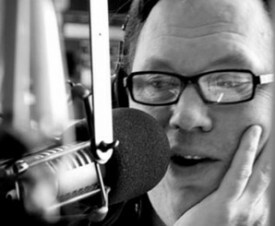 On May 21, Gale Street Inn hosted a “Night with Radio Legend Kevin Matthews” and donated all proceeds to Special Olympics Illinois. The evening included a delicious buffet and beverages, in addition to a Question and Answer hour with Kevin Matthews that had guests laughing loudly. 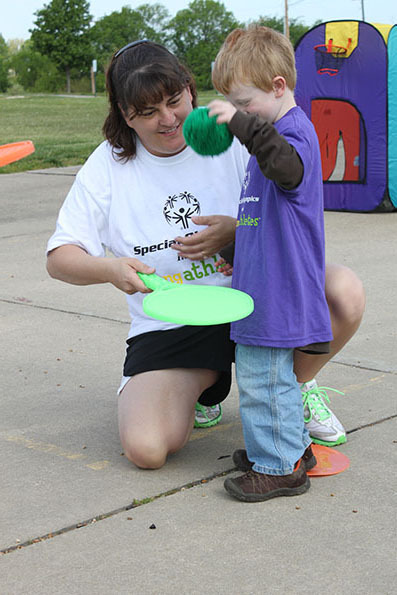 Throughout the month of May, which Gale Street Inn designated as Special Olympics Illinois month, guests to the restaurant enjoyed the opportunity to share a donation and spin a wheel making them eligible to win a variety of prizes also shared by Gale Street Inn. It was a great evening with lots of laughter and delicious food and many new friendships were experienced. The Laugh Factory recognized as the “#1 Comedy Club in the Country” recently hosted The Funniest Chicago Media Person contest. Harry Teinowitz, former ESPN radio sports announcer and friend of Chicago/Area 3, participated at the event which was held on June 10. The Laugh Factory, located at 3175 Broadway, Chicago, welcomed more than 10 local radio, television and newspaper staff to the contest. Each contestant selected a non-profit to receive a donation if they were determined to be the funniest Chicago media person. Although Harry Teinowitz didn’t win the contest, the show was a great success and entertained a sold out audience throughout the evening. Are you a fan enough to go Over the Edge for Special Olympics Illinois and Special Olympics Iowa? Be one of the few to rappel off a 131-foot building – the Hotel Blackhawk in downtown Davenport! Join us on Wednesday, Oct. 30,and go Over the Edge! Register online today. View Over the Edge brochure. 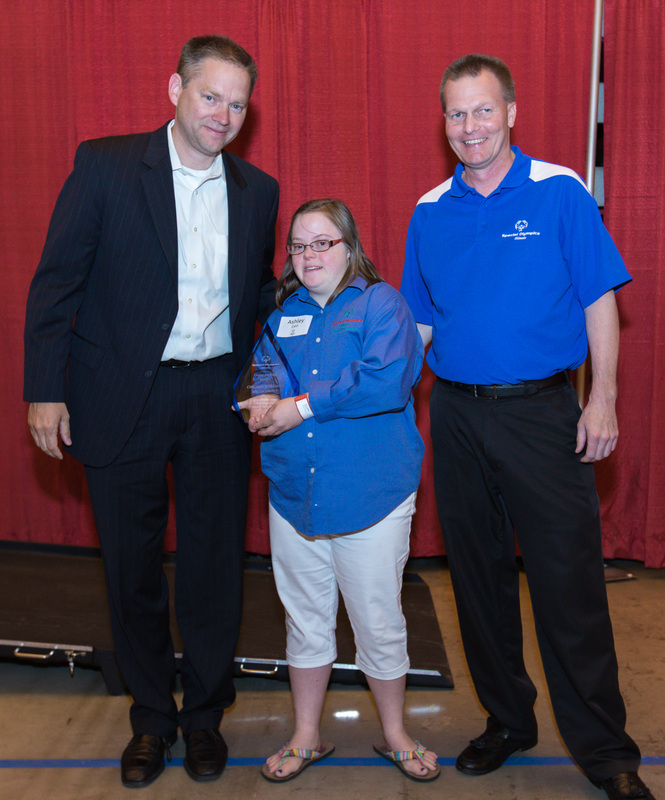 Special Olympics Illinois hosted the McLean County Chamber of Commerce Business Before Hours at it’s State Headquarters in Tribute Park in Normal from 7-8:30 a.m. June 26. The event was made possible by corporate sponsors Nicor Gas and Commerce Bank who helped cover the hosting fees and other expenses such as food and tent rental for the event. Business Before Hours are monthly get-togethers that are open to all McLean County Chamber members and offer opportunities to network, connect and socialize with local community businesses and organizations. 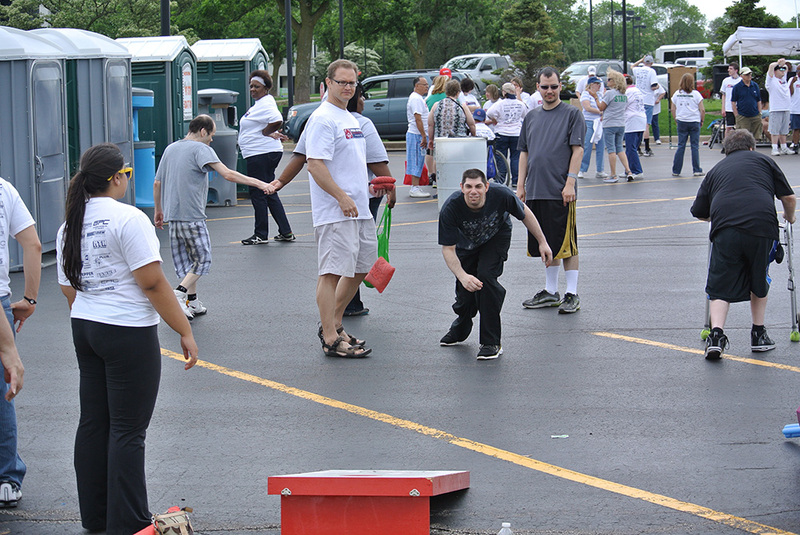 Approximately 125 guests attended the event in Tribute Park and got to learn more about Special Olympics Illinois, its events and its athletes. Drew White of SOAR and Katy Peifer from Olympia School District were honored as the Male and Female Special Olympics Athletes of the Year at the 6th annual State Farm Student-Athlete Recognition Banquet held at the Holiday Inn & Suites on June 20. Drew, who attends Normal West and competes with SOAR, has competed for more than six years in athletics, aquatics, softball, bowling, basketball, tennis and volleyball. He is also involved with the Penguin Project and works at Advocate BroMenn in the cafeteria. Drew is very active and loves to dance, play sports and encourage his teammates. 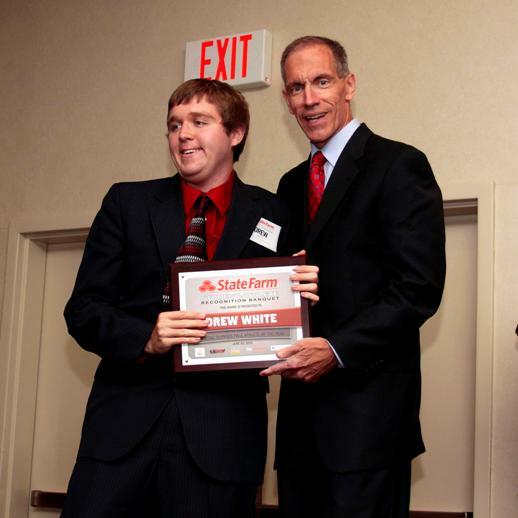 Katy Pifer with State Farm Sponsorship Coordinator John Althoff. 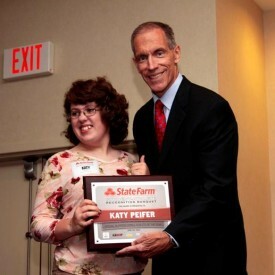 Katy is a graduating senior from Olympia High School. She has participated in basketball, athletics, T-ball and bowling for seven years through SOAR. She always encourages and helps her teammates and helped recruit athletes to be a part of Olympia Special Olympics when they began their program two years ago. 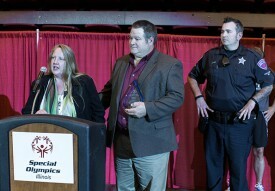 Josiah Copass from SOAR and Nathan Hawley from Olympia were nominees for Male Special Olympics Athlete of the Year. Bailey Keiser from Tri-Valley Special Olympics and Rachel McGrew from Tri-Valley were nominees for Female Special Olympics Athlete of the Year. Special Olympics coach Glenda Walsh from Tri-Valley was a nominee for Coach of the Year for a female sport. Illinois Wesleyan University Women’s Basketball Coach Mia Smith and Special Olympics Illinois Global Messenger Kirsten Boswell delivered keynote addresses. 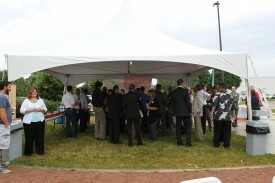 The 14th Annual Construction Team Picnic was held June 1 at Allstate’s Northbrook Campus. 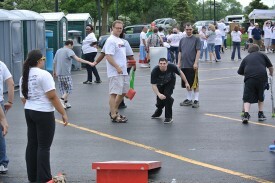 This year’s picnic was another success for SOILL South Cook-Will/Area 7. More than 300 athletes, coaches and families were treated to fun, food and a DJ for dancing. Everyone in attendance also received a T-shirt and goodie bag. Each year a small committee from local construction companies puts this event together. This year, 27 sponsor companies donated more than $14,750 for Area 7 athletes. Thanks to the continued efforts of Jon DeMaine, Corrine Rossi, Maureen Lucenti and Mike Schutten, Area 7 is able to host this summer kick-off picnic every year. Mark your calendars for next year – Saturday, June 7, 2014. More than 6,500 individuals participated in the 5K Foam Fest June 1-2 at Off Road Racing in Ottawa. The 5K Foam Fest offered participants the chance to get dirty and clean off while supporting Special Olympics Illinois. The fun, foamy and muddy run was like running a 5K through a car wash! 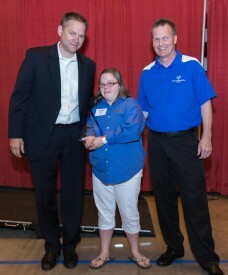 Special Olympics Illinois received $27,302 from proceeds of the 5K Foam Fest. View photos from 5K Foam Fest. SOILL Starved Rock/Area 16 will host its 11th Annual Auction on Thursday, Aug. 1, at Celebrations 150 in Utica from 6-9 p.m. The theme of this year’s event is Viva Las Vegas and will feature a variety of live and silent auction items available for bid. Presenting sponsors are Miller Group Charitable Trust and WOLF 96.5. Reservations are $30 per person and can be made online at area16auction.eventbrite.com or by calling Cheryl De Paepe at 815-220-8128. Ignacio “Joe” Peña of Channahon has been named winner of the 2013 Special Olympics Illinois Lifetime Service Award. 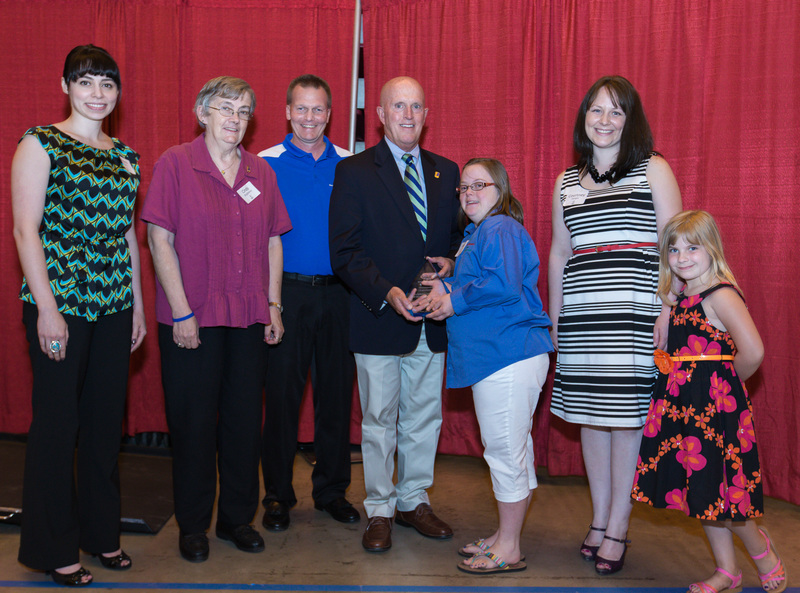 He was honored at a reception held on June 14 before the Special Olympics Illinois Summer Games Opening Ceremonies at Illinois State University in Normal. Texas Roadhouse restaurants will be teaming up with local law enforcement officers on Friday, July 26, for a Benefit Lunch to support Special Olympics Illinois. Local officers will serve a “free” lunch of a limited menu from 11 a.m. – 2 p.m. This exclusive lunch includes a pulled pork sandwich, corn, freshly baked bread with honey-cinnamon butter and a non-alcoholic beverage. Diners are simply asked to leave a donation at their table for their meal, with 100 percent of the proceeds benefiting Special Olympics Illinois! This Texas Roadhouse Benefit Lunch is part of the Law Enforcement Torch Run, which is the largest year-round fundraising vehicle benefiting Special Olympics Illinois. All 11 Texas Roadhouse locations in Illinois will be participating, which includes: Bradley, Champaign, Decatur, East Peoria, Joliet, Naperville, Quincy, Rockford, Shiloh (O’Fallon), Springfield and Tinley Park. Be sure to stop by the location nearest you to enjoy a great meal for a great cause! 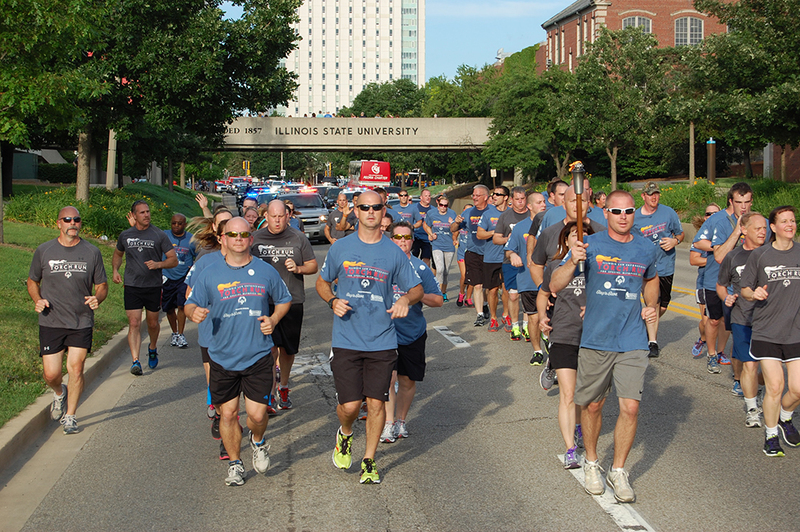 Approximately 100 law enforcement personnel participated in this year’s Final Leg, which is the culmination of all Torch Run Legs from across Illinois. This 2.5 mile run ended at the Special Olympics Illinois VIP Reception, where Torch Runners received a standing ovation for their efforts. State Torch Run Director Eric Smith and Assistant Torch Run Director Tom Reasoner presented Special Olympics Illinois with a check for the estimated 2013 year-end fundraising total of this statewide effort – for the first time, $3 million is expected to be raised by the Illinois Law Enforcement Torch Run! 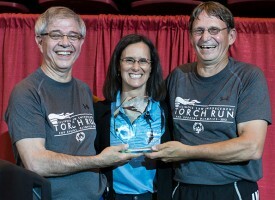 After the reception, this group carried the torch into a packed Hancock Stadium, where the Flame of Hope was passed to Illinois Attorney General Lisa Madigan from Chris Soderlund of the Crestwood Police Department (last year’s top Torch Run fundraising department). The flame, which was then presented from athlete-to-athlete, ultimately ignited the cauldron to officially open Summer Games. 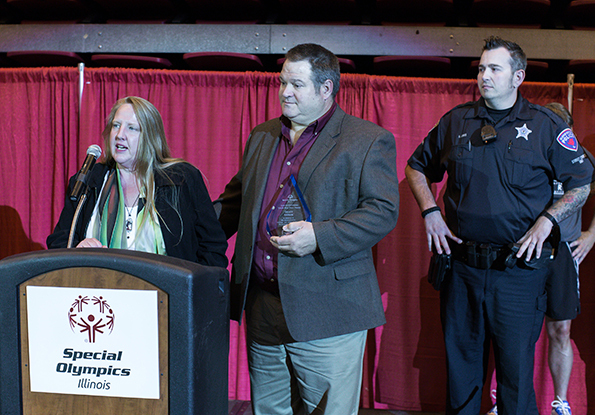 To all law enforcement in Illinois, thank you for giving your time to raise awareness for Special Olympics Illinois athletes and their accomplishments! 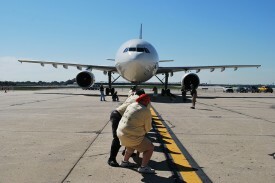 Pull a Plane at O’Hare Airport this September! The 5th annual Law Enforcement Torch Run® Plane Pull at O’Hare International Airport is set for Saturday, Sept. 21. 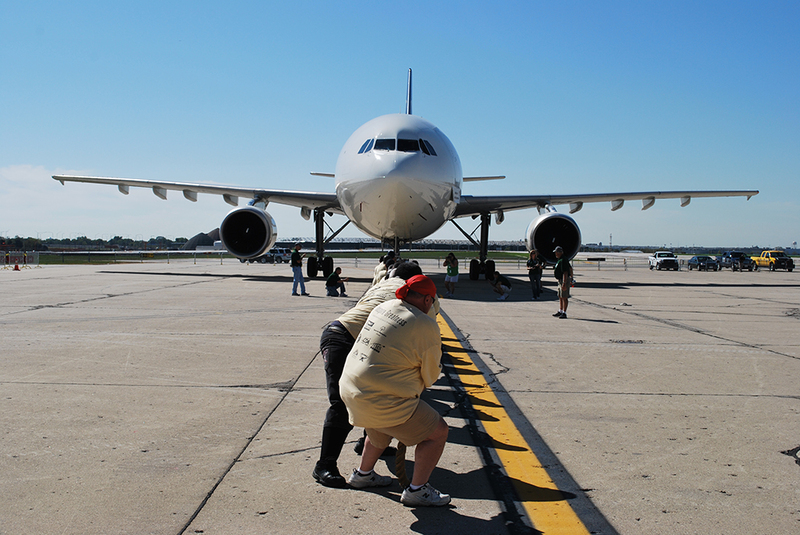 Teams of 20 will test their muscle and play tug-of-war with a UPS Airbus A300 weighing more than 99 tons! Law enforcement officers and fire departments, along with private companies, high schools, colleges, fraternal groups and teams of family and friends are all welcome to try pulling the plane in record time to win valuable prizes and official bragging rights! View this Team Captain Guide for more information on getting your group started. Each team is required to raise $1,000 to participate (that’s only $50 per team member for a group of 20). Each participant will receive an official Plane Pull T-shirt, with all event proceeds benefiting the athletes of Special Olympics Illinois. Interested in pulling for Special Olympics Illinois? Visit www.illinoisplanepull.com for additional information or to register your team. 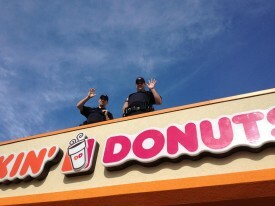 Police officers throughout Illinois staked out Dunkin’ Donuts rooftops on May 31 to heighten awareness and raise donations for the Law Enforcement Torch Run® to benefit Special Olympics Illinois. It was a record-breaking year for the Cop on Rooftop event, with officers participating at 150 locations in Illinois and raising more than $310,000 – a first in both the number of locations and money raised! The Bloomington Police Department was once again the top fundraising department, collecting more than $9,300 during their event the week of the State Summer Games. 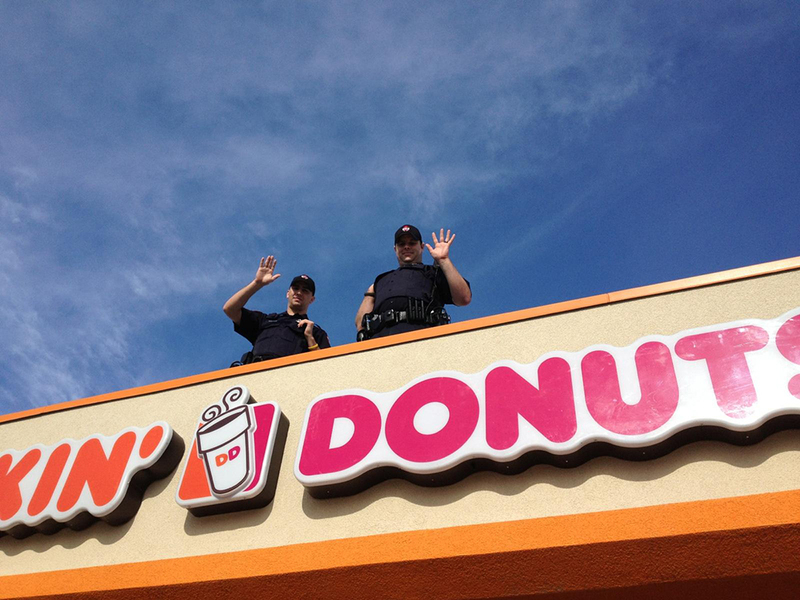 2013 marked the 11th anniversary of this great partnership between Dunkin’ Donuts and the Illinois Law Enforcement Torch Run. The Cop on Rooftop event has been a great success since its inception, raising more than $1.6 million for the athletes of Special Olympics Illinois! 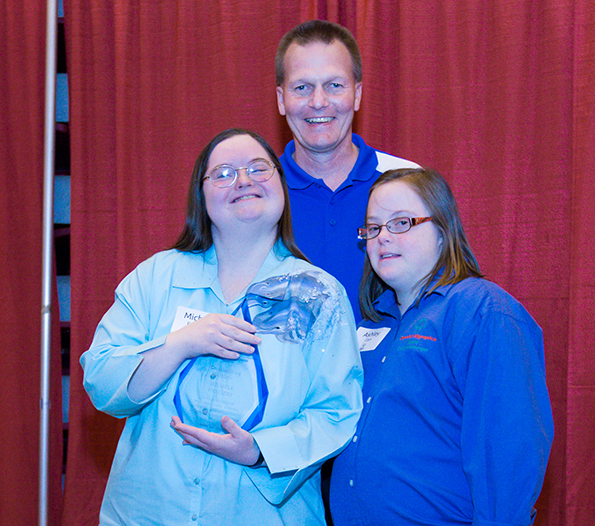 Interior Investments of Lincolnshire has received 2013 Special Olympics Illinois’ Chairman’s Award. 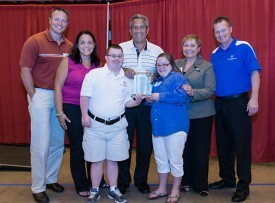 Interior Investments’ owner Mike Greenberg accepted the award at a reception held on June 14 before the Special Olympics Illinois Summer Games Opening Ceremonies at Illinois State University in Normal. We often hear that phrase from fans of Special Olympics Illinois. Whether they are parents or grandparents of a Special Olympics athlete—or people who simply want to help others—the feeling is the same. And so is the answer! Your signature can provide the Special Olympics experience to adults and children with intellectual disabilities for many years to come. How? By including Special Olympics Illinois in your estate plans. 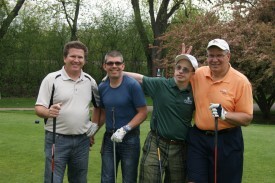 It’s easy to make Special Olympics Illinois the beneficiary of a life insurance policy or Individual Retirement Account. You could also make an outright bequest in your will, designating a specific dollar amount or a percentage of your estate in support of our mission to create a better life for people with intellectual disabilities. If you have a trust, you can make arrangements now so that whatever funds remain in the trust will go to Special Olympics Illinois as part of your estate. You can do more – you can leave a legacy that will change the world. Don’t just wish you could do it. Do it now! It’s as easy as signing your name. For more information, please contact Sheila Devine at 630-942-5616.